Today we are going to make sugar cookies. Not just any ordinary sugar cookie, Grandma Meyers Sugar Cookies! I have no idea where this recipe actually came from, if my grandma made it up or got it from somewhere else. 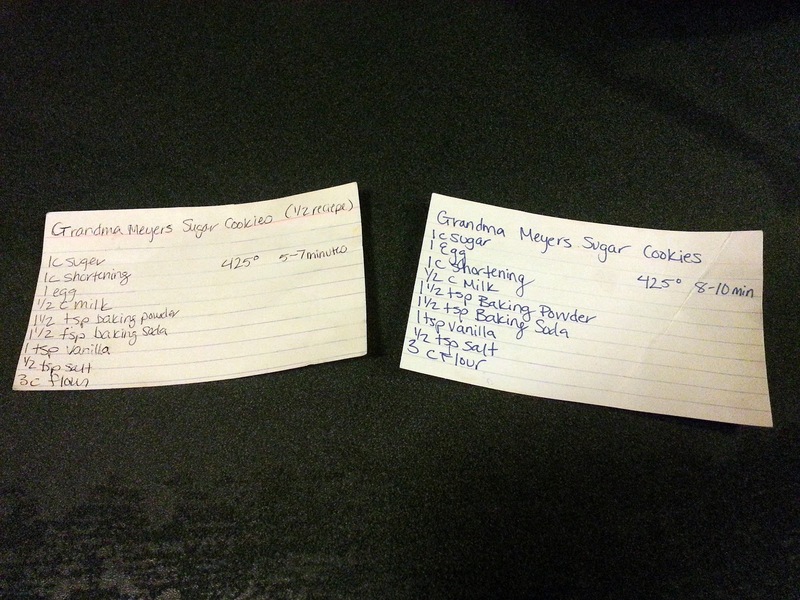 Either way, this recipe has been in our family for a long time. 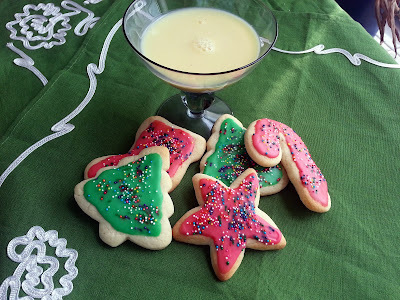 While the eggnog cookies I made before tasted like Christmas, these cookies feel like Christmas. For as long as I can remember, we've made these cookies as a family during the holiday season, and it continues to this day. 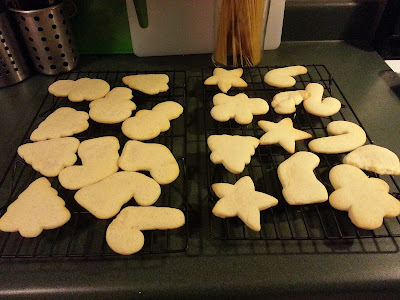 My sister normally makes the cookies for the family, but I try to make them each year, even if it's just a small batch for Andy and me. This recipe is so good, I have TWO copies of it! 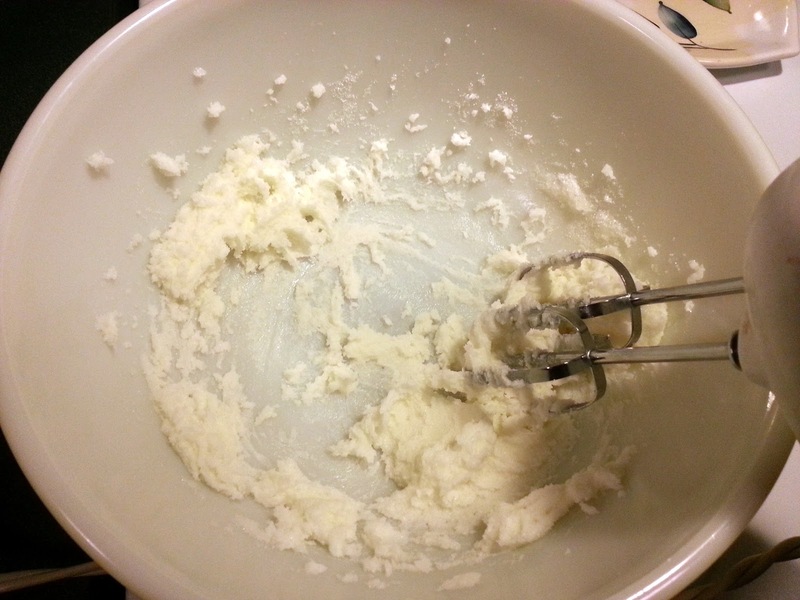 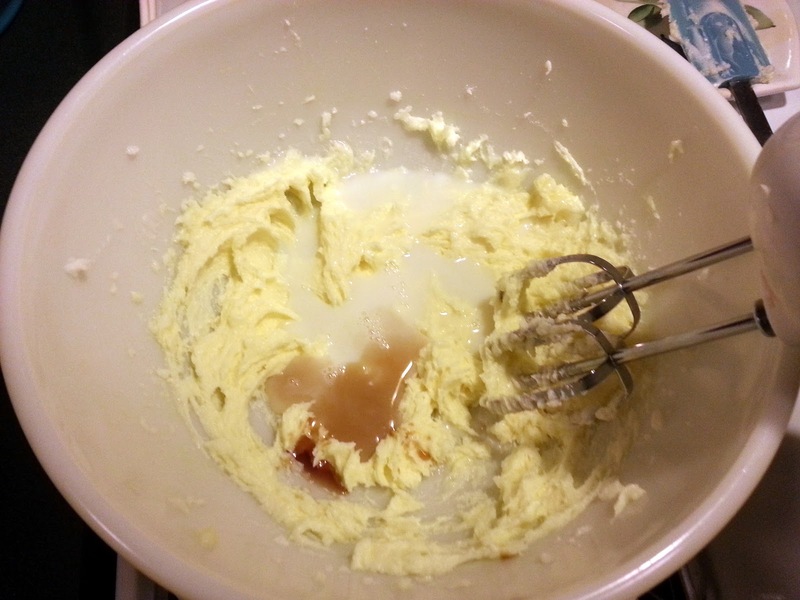 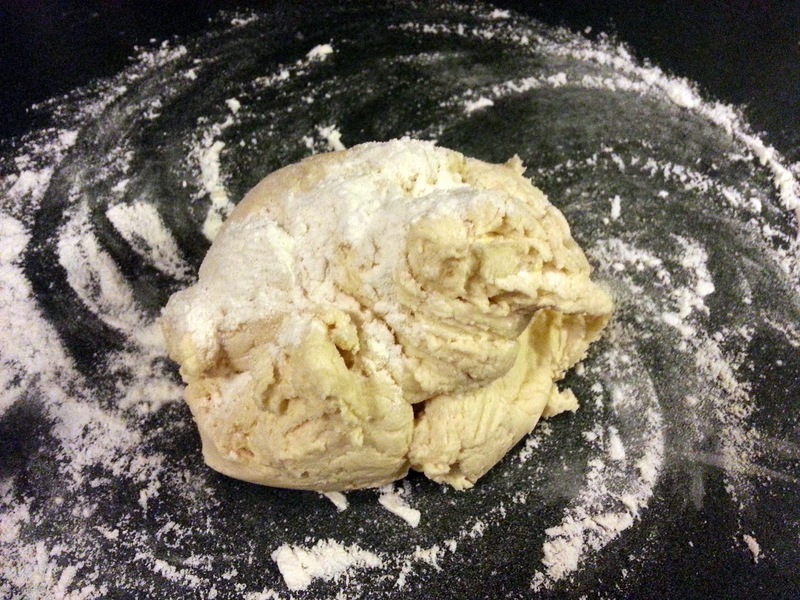 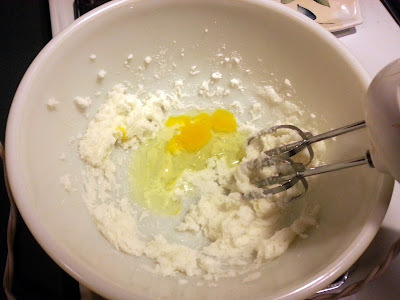 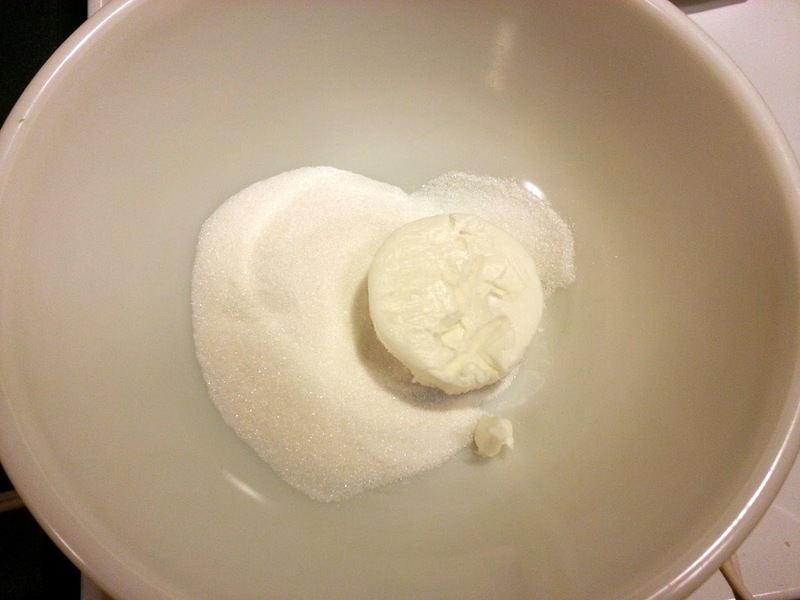 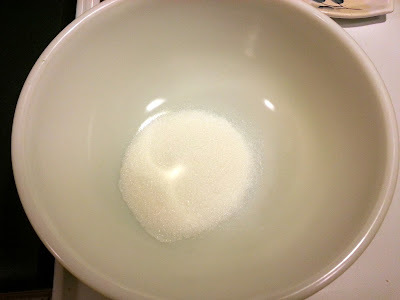 Begin by mixing your sugar and shortening with an electric mixer. 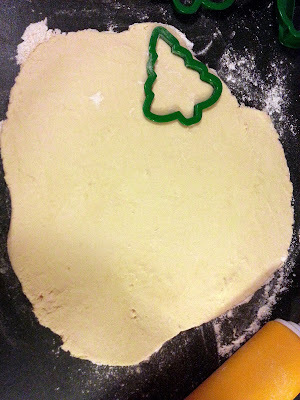 Roll the dough out to 1/4 inch thick, and start cutting with cute cookies cutters! 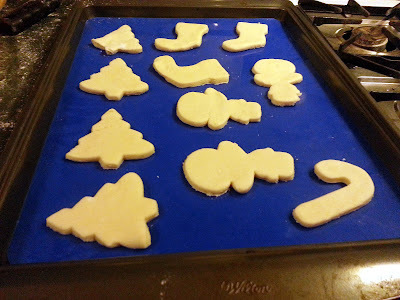 Place cookies on a greased cookie sheet. I've been using this silicone baking surface lately. 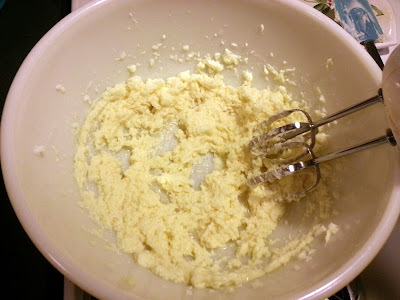 If you use one of these, you do not need to grease the surface. 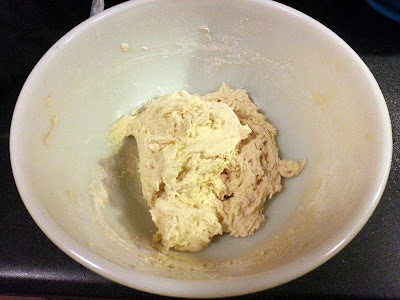 Bake for 4-7 minutes in a 425 degree oven. 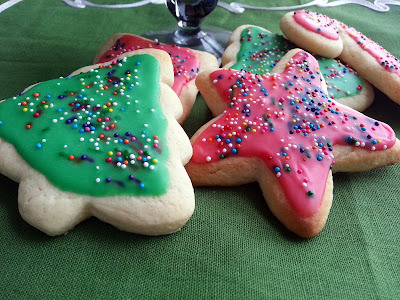 You'll want to take extra care to watch these cookies while they cook. 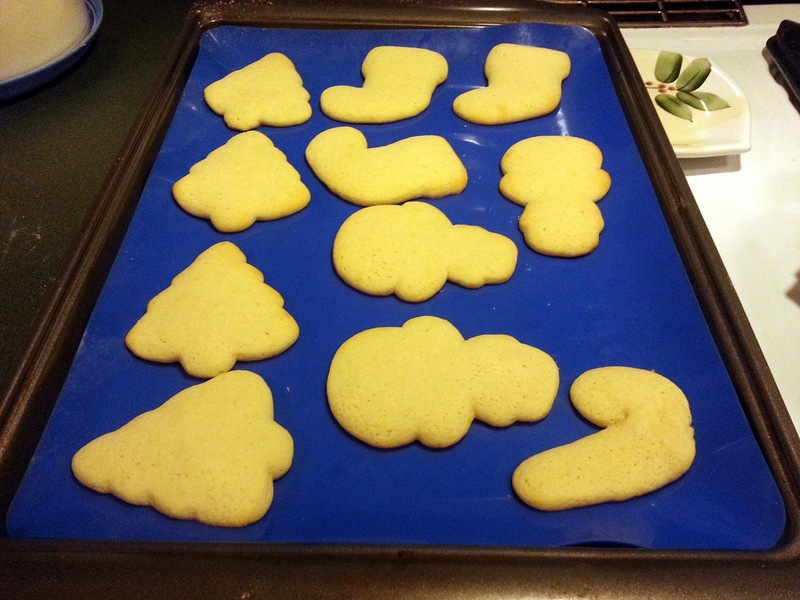 They will burn very easily, depending on the exact temperature of your oven and the time they are left in. 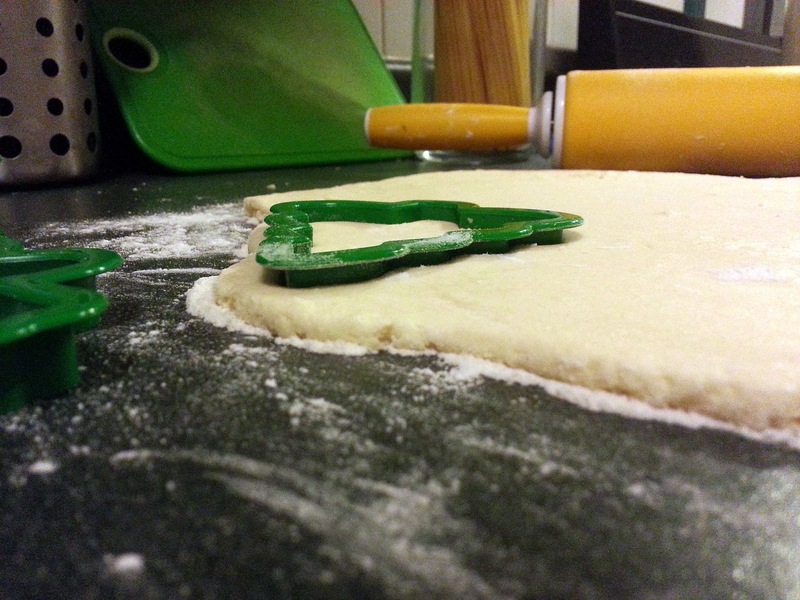 You'll want to take them out when you see the edges just starting to brown. Now you're ready to frost. 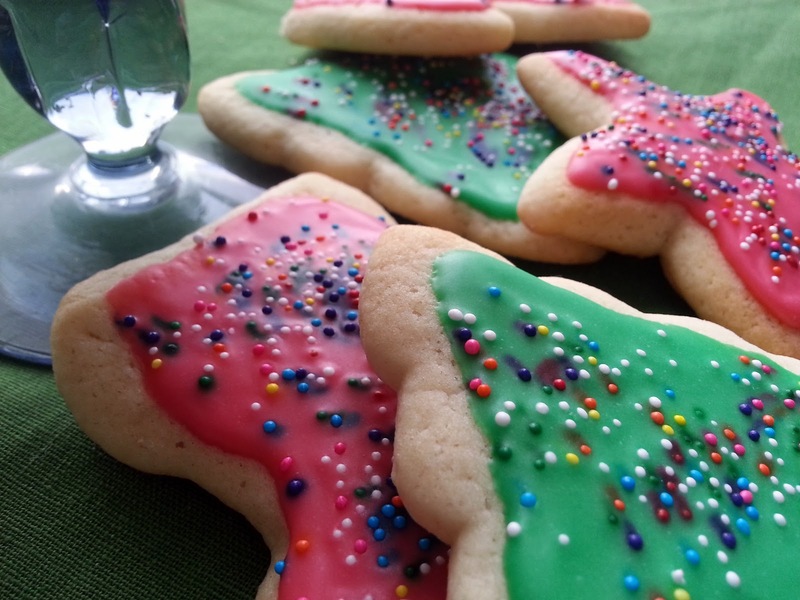 I make my frosting out of confectioner's sugar and water with a few drops of food coloring. Serve with a cup of eggnog and enjoy!